Kayla with her mom and sister. Community Living BC (CLBC) is the government crown agency that funds services and supports for adults with developmental disabilities and their families. Before the age of 19, many youth with special needs receive services from the Ministry of Children and Family Development (MCFD). Once these students turn 19, CLBC can step in to provide those services. Many students and their families find the transition between ministries confusing, as the level and nature of those services change after high school. The Ministry of Education also plays an important role in supporting students from K-12, as does the Ministry of Health, for students who have health-related needs. The Ministry of Advanced Education and the Ministry of Social Development both play a role in planning for a future that includes further education and employment. Planning for the transition out of high school can be difficult as families learn which ministries and departments provide what services and how to apply for them. The confusing process adds to the existing stress of planning for life after high school. 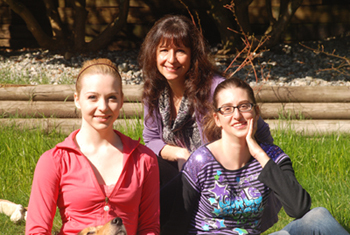 The Families section of the Inclusion BC (formerly BCACL) website has resources to help families find the support they need. If you are confused about the role of the different ministries and have questions about the transitions process, you can email or call Karen De Long or Jeremy Vis at Inclusion BC: 604-777-9100. Visit the Inclusion BC website for tips and resources on how to help your child plan for the transition out of high school. To help make sure that all the different ministries and agencies work together to make the transition as smooth as possible, the “Cross Ministry Transition Planning Protocol” was introduced in 2009. We want to see the protocol work for students. We are concerned, however, that almost three years after the protocol was announced, it is not fulfilling its promise. The Cross Ministry Transition Planning Protocol for Youth with Special Needs is an agreement between nine government organizations (see the organizations listed below) on how they will work together to support the transition of youth with special needs (aged 14-25) to adulthood. When was the Protocol Created? The Cross-Ministry Transition Planning Protocol for Youth with Special Needs was announced in November, 2009 by the Minister of Children and Family Development, Mary Polak. Read the Ministry press release here. Implementation of the protocol was to happen in the months following, leading into 2010. Why is the Protocol needed? Families of children with special needs face a multitude of challenges navigating the system. Planning for the transition out of high school can be especially difficult, as families learn which ministries and departments provide what services and how to apply for them. The confusing process adds to the existing stress of planning for life after high school. The existence of the Protocol is encouraging because it acknowledges the need for collaboration between all relevant ministries and organizations to ensure a successful transition process. If implemented effectively, it has the potential to allow for an early, well-coordinated and less confusing planning process for students and their families. BCACL wants to see the protocol work for families. We are concerned, however, that almost two years after the protocol was announced, it is not fulfilling its promise. While the process is there, it is not clear how or if those involved are actually using it. Which organizations are involved in the protocol? Six ministries: Advanced Education and Labour Market Development, Children and Family Development, Education, Health Services, Housing and Social Development and Public Safety and Solicitor General. Plus: BC Housing, Community Living BC, and the Public Guardian and Trustee. *note: the Province of BC also has a detailed Question and Answer sheet about the Transition Planning Protocol. You can read it online here.